The GEA Institute invites applications for a new full-time junior academic staff position in Mineralogy/Geology. 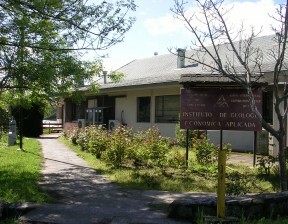 The Institute focusses on applied research and specialized teaching to the mining and minerals industry (www.institutogea.cl). The main current research lines are in geometallurgy and exploration geology. As the world’s largest copper-producing country, Chile is interested in the long-term sustainability of metal mining. The GEA Institute works closely with the mining industry on mineral and mineral chemistry related subjects in exploration, ore processing and concomitant environmental implications. The Institute is seeking a staff member to conduct research and teaching in the broad field of Andean mineralogy and/or metallogeny. The position requires joining a multidisciplinary academic group to develop undergraduate and postgraduate teaching in collaboration with various faculties of the university (www.udec.cl), as well as basic and applied research and outreach activities. Because most undergraduate teaching is offered in Spanish, fluency in this language will be considered an advantage. PhD/Doctorate in geology (mineralogy or petrology). Availability from September 2019, but flexibility exists with respect to starting date. An academic presentation, personal and psychological profile interviews will be required for final shortlisted applicants.